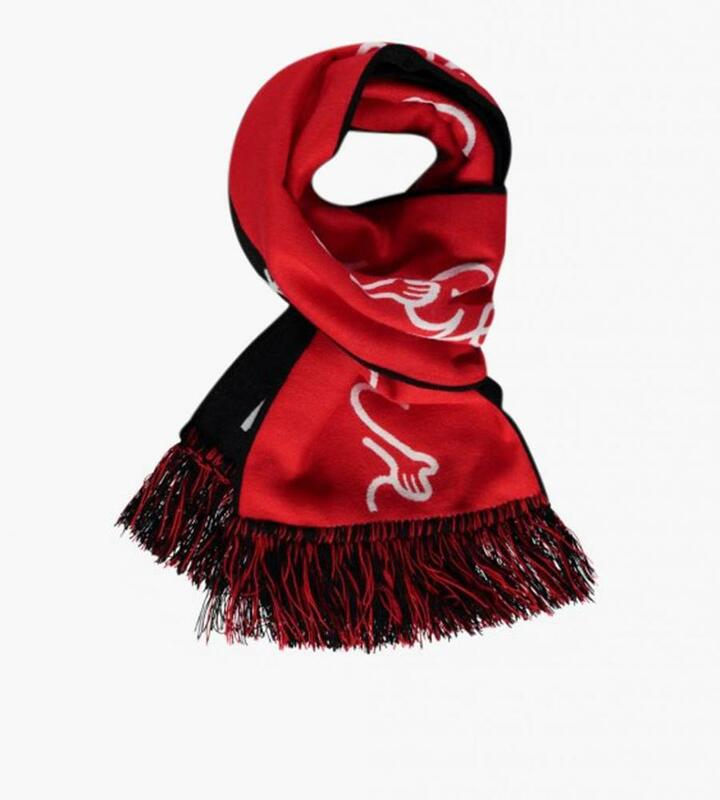 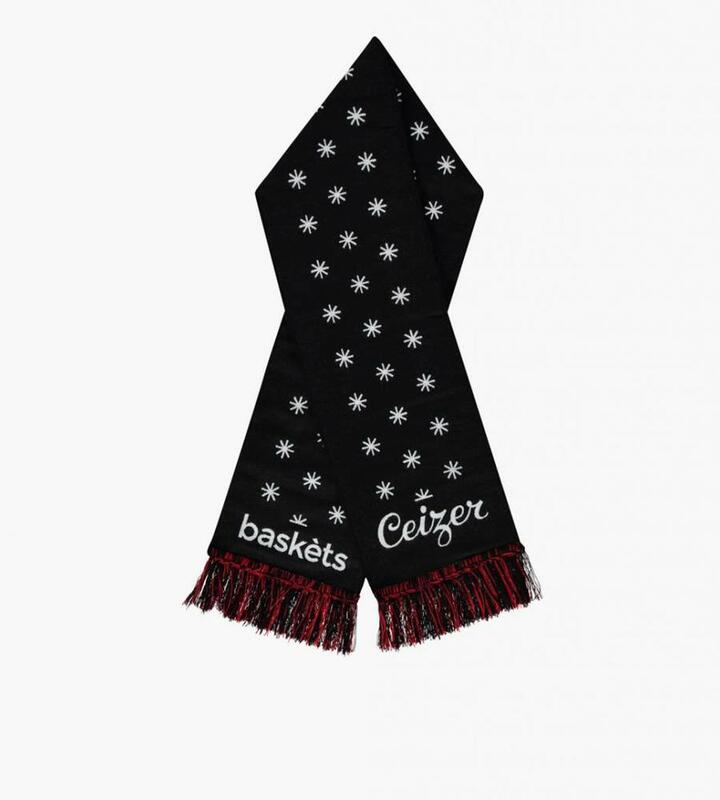 Scarf from Baskèts. 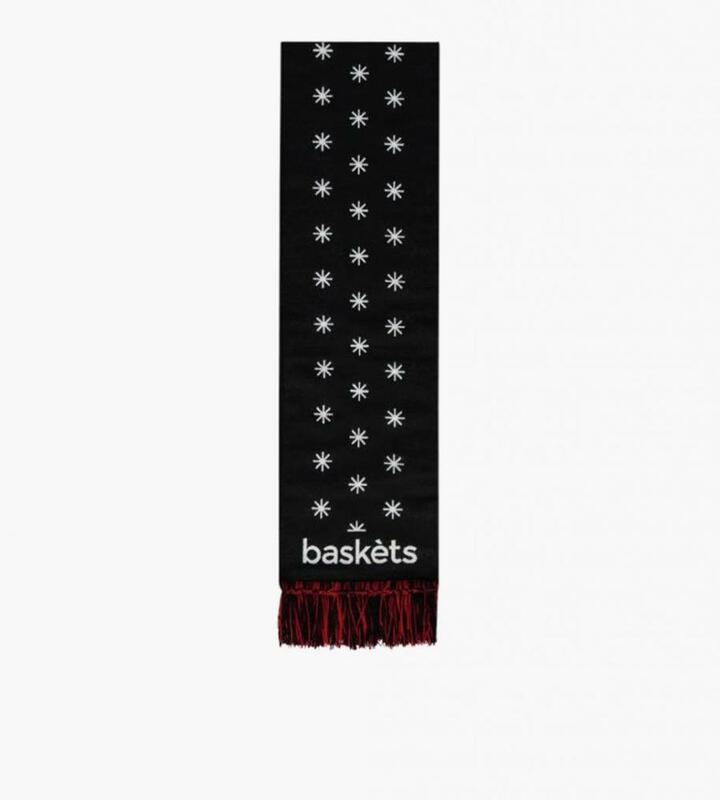 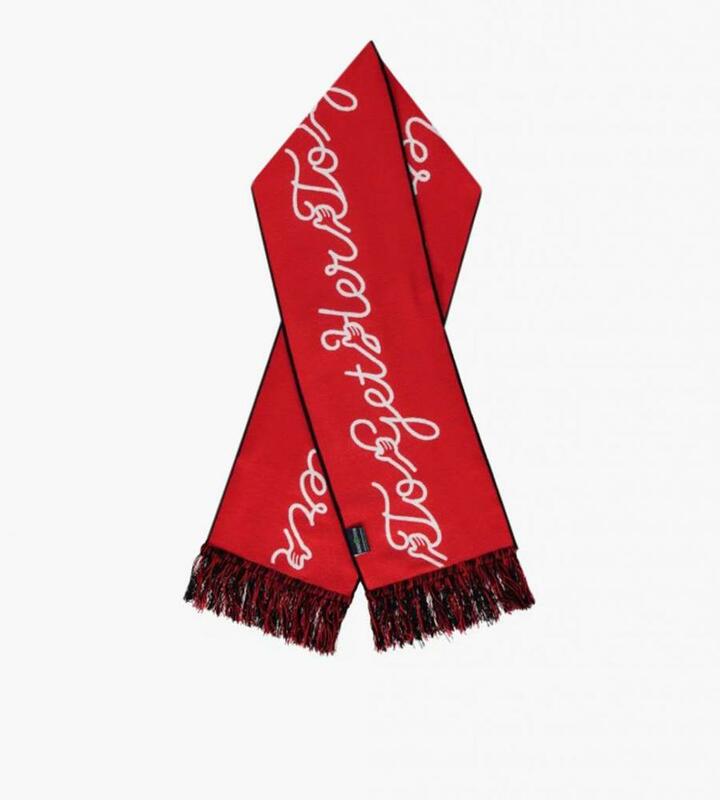 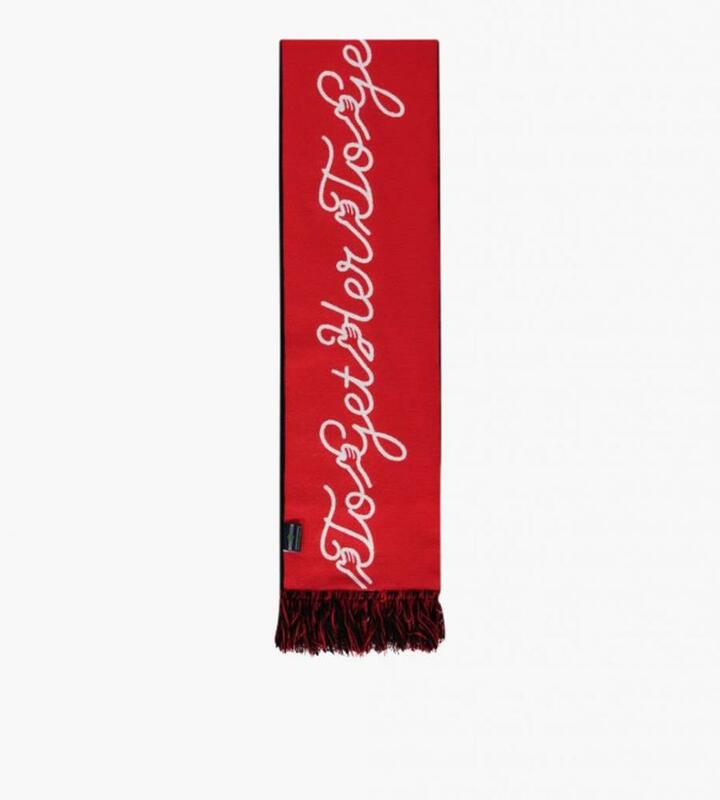 A Jacquard woven scarf with a snowflake design on one side and "TO-GET-HER" graphics on the other side. 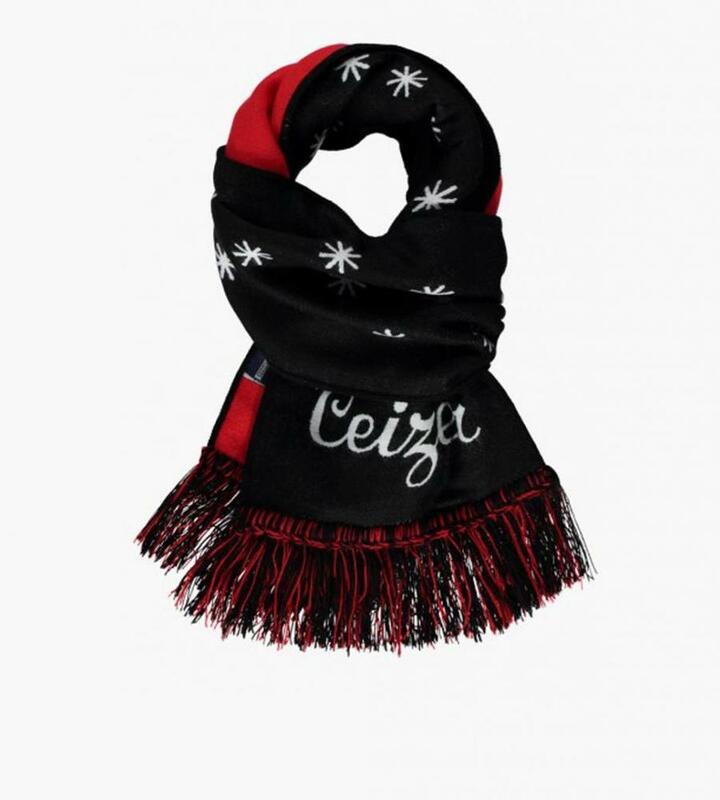 Color Bright red and Black.